A dental implant is an artificial tooth root that is placed into your jaw bone, beneath the gums to hold a replacement tooth or bridge. Dental implants may be an option for people who have lost a tooth or teeth due to periodontal disease, an injury, or some other reason. Next best thing to healthy, natural teeth. Strong and stable, a dental implant restores a lost tooth so that it looks, feels, fits and functions like a natural tooth. Other options can lead to bone deterioration and may interfere with eating, smiling, speaking and other activities of everyday life. Built to last. Dental implants are a long-term solution. 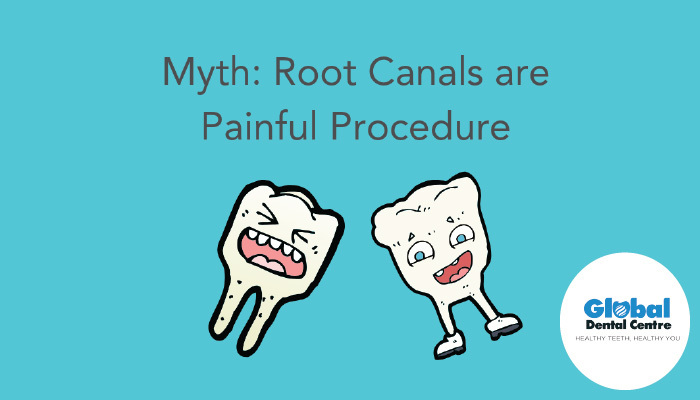 Traditional, tooth-supported dental bridges only last five to seven years, and with proper care often more than 10 years, but at some point, they may need to be replaced. While dental implants may need periodic adjustments, they can last a lifetime when properly placed and cared for over time. Enjoy life without worrying about your teeth! No need to stay home or feel uncomfortable in public, embarrassed because your smile looks different, or worrying that missing teeth will limit your ability to join in the fun or those removable dentures or tooth-supported replacement teeth will loosen or fall out when you talk, eat or laugh. Teeth restored with dental implants are teeth that let you, not your teeth, lead your life. 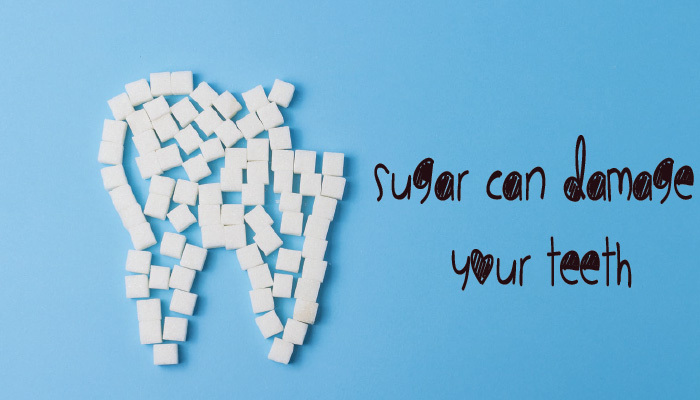 Keep your teeth in your mouth – not in a cup. 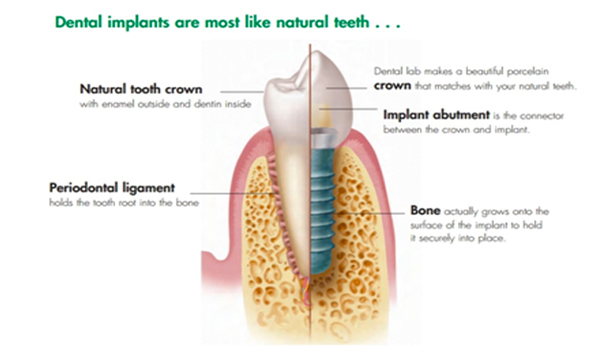 Dental implants allow you to keep your teeth where they belong – in your mouth. And no more worrying that your dentures might slip or fall out. Brush, floss, and care for teeth that have been replaced using dental implants exactly the way you would natural teeth – in your mouth. Look, Mom, no cavities! 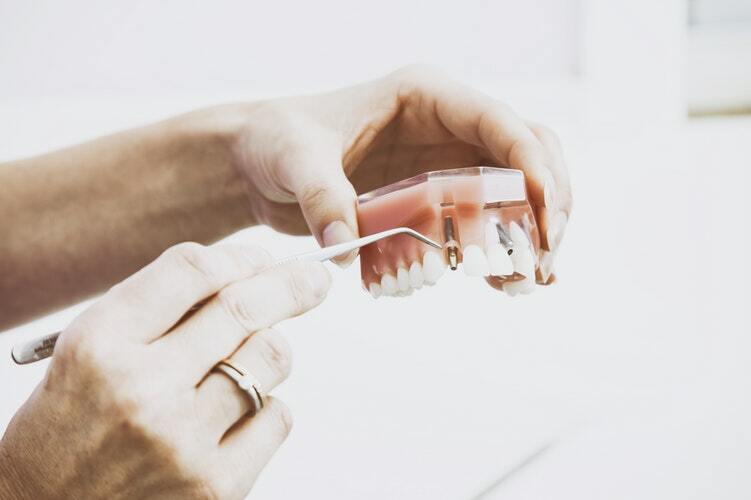 Cavities can’t occur in an implant-restored crown, or replacement tooth; however, you will need to visit your dentist as scheduled and clean and care for it and your gums and mouth every day, the same as you would if it were a natural tooth. Keep teeth in place – silently. Dentures may slip when you eat, talk, smile, laugh, kiss, yawn or a cough so that you have to “ reposition ” them back into place in the mouth. Dental implants are fixed in place and fuse naturally with your jawbone, meaning your replacement teeth won’t move, click or shift. More predictable than other repair and restoration methods. Dental implant treatment has a track record of reliable, long-term successful outcomes and is often considered “more predictable” than other treatments to repair or replace missing teeth, including bridgework, removable appliances, and retreatment of failing root canal (endodontic) therapy.